Town owner Marcus Evans has hit out at the system of compensation for academy players who move on to bigger clubs, the Blues having recently lost highly-rated England U16 international Ben Knight to Manchester City for around an initial £1 million. Knight, from Reach in Cambridgeshire who had been with the Blues since he was eight, agreed a scholarship with Town several years ago which was due to start in July and also a subsequent professional deal, but the Blues were ultimately powerless to hold on to the highly-rated number 10 when he and his family decided he should join City. The 16-year-old, the nephew of former England and Essex cricketer Nick, is the third Town academy player to have been poached by a top Premier League side in that manner in recent years with Harry Clarke having departed for Arsenal in 2015 aged 14 and Charlie Brown, then 16, for Chelsea for an initial £600,000 a year later. In addition, Kundai Benyu, then aged 19, moved on to Celtic having spent a year as a pro with the Blues at the end of his time in the academy in the summer of 2017, Town receiving a nominal fee via FIFA’s training compensation rules. The Blues also face losing schoolboy Marcelo Flores to Arsenal with talks between the clubs regarding compensation having been ongoing for some months but with the Canadian youngster, whose father Ruben has been coaching at the academy, ultimately appearing certain to move to the Gunners. Academy right-back Dylan Crowe, 17, who won his first England U18s cap yesterday, is also reported to be a target of Manchester United and other clubs. “My problem is with the rules, not the clubs. I want to make that clear,” Evans told the club site. “Ipswich Town and others, including some Premier League clubs, are losing their best young talent before they even join the full-time academy ranks on leaving school and with it, in our case, one of the channels to assist us to progress to the Premier League. “I continue to remain fully committed to our academy and producing homegrown players. It’s a major part of the club’s strategy, however if in the long term the situation worsens and we lose all of our best talent before they even start in the academy, the strategy is thrown into doubt for us and other clubs. “We have already seen some clubs [such as Brentford] close their academies and the FA as well as the EFL must do everything they can to protect the current number of academies. “I’m told we had more players aged under 23 on the pitch last season than any other team in the Championship and we achieved an EPPP [Elite Player Performance Plan] score which was in line with some of the Category One level clubs. “We also have a number of academy players who are regulars in their respective age groups at international level, proving our ability to develop a quantity of talented players. “It is frustrating though to be put in a position where we invest in a young player from the age of nine for several years and then are forced to lose him for a fee well below what I would consider to be a true valuation of that potential. “This is where the current rules break down and we have accepted figures that were, in effect, forced upon us based on the most likely outcome of a compensation fee tribunal. “That’s where - in my opinion – the problem and the potential solution to the problem lies. As long as the compensation figures are high enough then the ‘losing’ club is rewarded. “At the moment the tribunal valuations for the loss of a talented player to the top Premier League clubs bears no relation to the potential of the player. “I’ll give you an example. We had no choice but to agree a fee of £600,000 with a Premier League club for one of our young players [Brown] with a possible additional £900,000 but only if he played 100 games for that club in the Premier League. “If he played 100 games in the Premier League, at current values he’d probably be worth £30 million plus. “The figures just don’t add up and this is against a background of the league stipulating we must have an academy budget of £2.5 million per annum and we are seeing on average only one in 20 scholars making it to even Championship level and an even smaller percentage to the Premier League. This will drop substantially if we lose the best talent before they become scholars. “If clubs had confidence in the tribunal system this would ease some of the concerns and I will be encouraging further discussions as to how the compensation levels should be assessed. “I know from talking to other owners, particularly those in the larger cities, that they are questioning the value of paying for an academy. Evans believes an agreement which covers Europe is required as Knight was interesting clubs on the continent, believed to be Borussia Dortmund and Monaco, and had the youngster moved to one of those sides Town would merely have received around £100,000 in compensation. “It is all worthless if the foreign clubs don’t have to abide by the same rules as us,” he added. “Otherwise, even with the fairer compensation levels I have suggested between English clubs, this would only provide more opportunities for foreign clubs to 'steal' talent for next to nothing. ME talks a lot of sense where clubs who put in the effort and expense of trying to produce players are being short changed by the current rules. Without changes the lower leagues and clubs will be a lot poorer for it. Not just financially but with the standard being played. 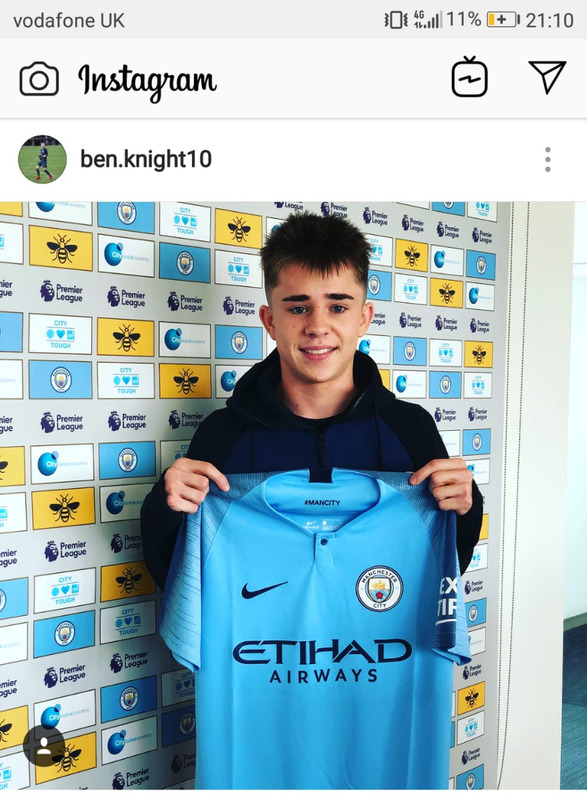 You cannot blame the likes of Ben Knight for signing for Man City as he is probably now financially secure for life without even kicking a ball for them or any other club. Fair comments from Evans but nothing will change. The best way around this would be to get back into the Premier League sooner rather than later..
Evans makes some very valid points. What is the purpose on the academy if we can't benefit from the investment put in to the youngsters, However, what teenager would turn down the chance to a move to one of the top six clubs? Another way of keeping them to stay is for them to see a more certain path with Town that if they stay and are good enough they will be involved with the first team and not loaned out to lower league clubs whilst we bring in loanees and journeymen ourselves. The add on fees are pointless because the chances of someone from their youth set-up making 100 appearances for Chelsea's first team are extremely remote to say the least. Maybe a future sell-on fee of 25-40% should be a stipulation in the rules so that if clubs like Chelsea sell their youth talent on, as they usually do, the original club won't lose out on any appearance add-on's. Bluearmy - I'm not sure your were even educated at the polytechnic of life. I've seen a few of your comments over the past few days and you're very short sighted. Something yesterday, which I couldn't be bothered to reply to, about Evans "pocketing the money" from one of the recent sales. Remind me, how much loss does the club run up every year and who covers this shortfall? You don't have to be an Evans fan to appreciate the point, you just need to have some common sense! It’s a massive issue in English football at the moment, and ME certainly nailed everything he said. Not the biggest fan of the guy but you can’t fault him here. Weasel owner interested in only money, money, money. "I continue to remain fully committed to our academy and producing homegrown players. It’s a major part of the club’s strategy", - Not sure after the start to this season Marcus, where are they? oh! I forgot at other clubs on loan! “It is frustrating though to be put in a position where we invest in a young player from the age of nine for several years and then are forced to lose him for a fee well below what I would consider to be a true valuation of that potential." - and there lies the real issue, money! But in general he does bring up some relevant points. Sourdough - if he's only interested in money money money, why does he continue to own a club which makes huge losses? Of course, the compensation rules are different between Category One clubs, and clubs like ours which are Category Two. The only difference between the categories is the amount of money you actually invest in your academy in the first place, and the ambition your owner has to pass that threshold in the first place. If you are going to complain about schoolchildren being horse traded, it would sound more convincing if you had not actively tried to sell some. And insisting your manager gave preference and opportunity to academy products might help a bit too. Gilesy, you should remember your stance now in a year's time when there is every chance we will be playing league 1. The fact is town are chronically underinvested in and have been for years. Given the current level of investment it would be a miracle if Town left the championship in the direction we all want. Why are you more interested in Evans's bank balance than the history and progress of our club?! Apathy and ambivalence reign supreme! Have some ambition and passion for your club man. He offsets tax losses Gilesy. Esentially he's using your club. You think hes been 'losing' money for the last 10 years out of the goodness of his heart?! And you think I'm niave?! What do you mean "offset tax losses". Explain to me how that works because...well, I know a thing or two about this sort of thing! I suggest you read the article in the future Bluearmy before posting absolute drivel. If you know a thing or two about it you don't need me to explain anything to you. Vanmut; my post isn't in relation to the article. Town are underinvested in, this is drivel?! No its a fact!! It's obvious to any one with half a brain. No, because it's utter rubbish. It is possible to love your club and have hopes for its future without being, at best, unrealistic. I'd suggest supporting a club involves understanding the constraints that the real world places upon it and accepting that, perhaps, operating within them is not only responsible, but is also a good long-term option.